Not everyone is born with a perfect set of teeth. However, invisible braces can offer amazing benefits. As opposed to traditional braces that would glitter with every smile, invisible brace systems are almost invisible to the naked eye and no one will notice that you have worn them until your teeth gets restored to a beautiful set. Further, getting a perfect smile will restore your self-confidence and overall lifestyle. Invisible braces from Dr. Paulo Pinho in Sydney will cost you just about $1650 for both arches. Depending on your current teeth alignment, the treatment can cost a maximum of $4850 – a great investment for a lifetime of smile. The treatment period for invisible braces too is a much quicker procedure as compared to traditional metal braces. The average bracing period is between 9 and 15 months whereas you would have worn the traditional braces for a minimum of 35.92 months. Further, we are offering the most affordable pricing in Sydney that covers both the treatment and the post treatment procedures. If you have a dental insurance, we will make sure that this expense is also covered by it! If you have crooked, packed, or broadly aligned teeth, or you have a problem with bite arrangement, talk to us today regarding your invisible braces advantages. Among a range of favourite brands, we can find invisible braces in Sydney that satisfy your requirements, budget, and lifestyle. We also give interest-free instalment programs so that attractive new smile you want could be more available than you think! Most patients nowadays prefer cheap invisible braces in Sydney in comparison to conventional braces. Fixed braces shift your teeth into a better arrangement and are also notable. Invisible braces, on the other hand, are tough to notice as the name suggests. They are detachable, unlike the conventional braces that you cannot remove until the treatment period ends. Moreover, the metal wires and braces used in case of traditional braces can lead to mouth inflammation. Conversely, invisible braces don’t include any metal that may hurt teeth. It’s easy to remove so that you can clean and floss just like always during your treatment. Invisible braces in Sydney are very easy to install and remove on your teeth. It will be extremely helpful while you are eating food. After you have completed eating and washing your mouth, you can just put on the braces again ensuring the complete care much comfortable than regular braces. With all these benefits, invisible braces are befitting for all people, particularly teens who want to get an impeccable teeth structure with least care and fewer dentist visits. Invisible braces for adults is also convenient and exceptional when you need a better teeth structure. Invisible braces are easy to use and simple to remove. They can be removed for important events and let you sustain excellent oral hygiene as they can also be separated when you must do regular brushing and flossing. These benefits over regular braces let you move on with your lifestyle with the utmost conviction making invisible braces the new and comfortable way to align teeth. How do Invisible Braces Serve? 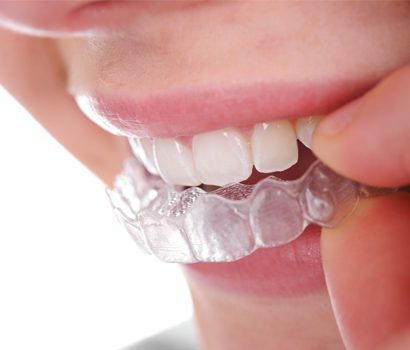 Unlike regular braces that utilise wires and metal brackets, these new invisible braces shift your teeth into the right position using a range of transparent aligners that are used on your teeth. Each aligner is made slightly distinctive from the last set and when used for a few weeks, slowly and predictably affects your teeth into a new position. Over the development of your treatment, these many progressive movements make your teeth into their final position. The invisible braces cost in Sydney is absolutely worth the money in the long run because of the nature of work and the astonishing results that you get from this method. Plus, you will feel more safe and positive when you undergo the treatment as it gives you the flexibility and convenience that conventional braces can’t. In other words, you are receiving a bang for your money when you opt to undergo treatment.